The Tennis Club at Springhurst was opened in the Fall of 1998 and over the years has expanded to a 10 indoor courts facility. Since it’s inception, The Tennis Club at Springhurst has evolved into one of the finest tennis teaching facilities in the country. Our Certified Staff of Tennis Professionals take pride in teaching the latest techniques to help you improve your tennis game. Our clubs are always expanding to offer additional services. As part of our programs, our USTA and River City League tennis teams have experienced unprecedented success. Many of our USTA teams have captured District and Sectional titles and have competed in National Championships. Our “Intro to Tennis" Program has led the way in introducing new players to tennis. Springhurst has twice won USTA Kentucky Facility of the Year. The Top Gun Tennis Academy, constructed in 2010, is a dedicated 13 court campus that is committed to the development of tennis players of all levels. We also feature permanent QuickStart courts for 10 & under players. We are Kentucky’s leader in QuickStart tennis for 10 & under players and developing a new generation of juniors playing the sport. Many of our junior players have graduated from our program to secure college scholarships and compete in varsity college programs across the nation. The Top Gun Tennis Academy also serves as the home to Trinity High School Tennis. The Springhurst Multi-Sport Center (Simcoe Lane Location) is a 30,000 square foot indoor sports center. Featuring a Sport Court Power Game surface, our center can host tennis, basketball, field hockey, lacrosse, volleyball, wrestling, gymnastics and much more. All courts are convertible with removable nets and goals. Bleachers are also available for spectator viewing. 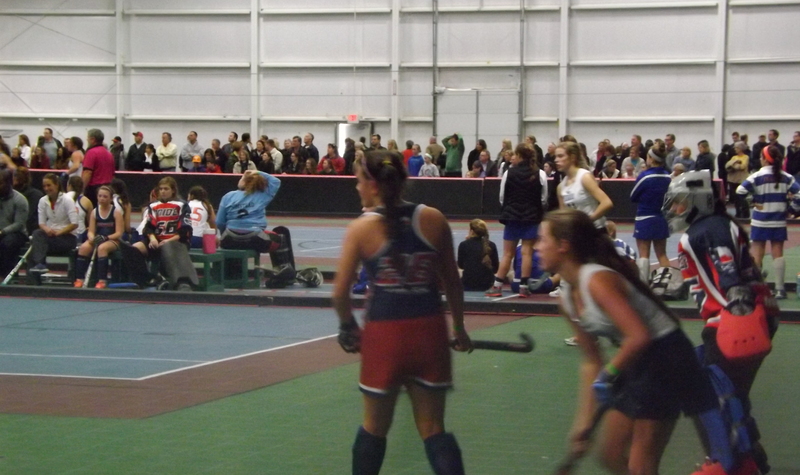 The Louisville Sports Academy Indoor Turf Field (Old Henry Location) is an 18,000 square foot indoor turf field. Our turf is a premium product from Sport Court Turf. We host soccer, lacrosse, football, indoor golf, field hockey and much more in our turf field. Bleachers are also available for spectator viewing.